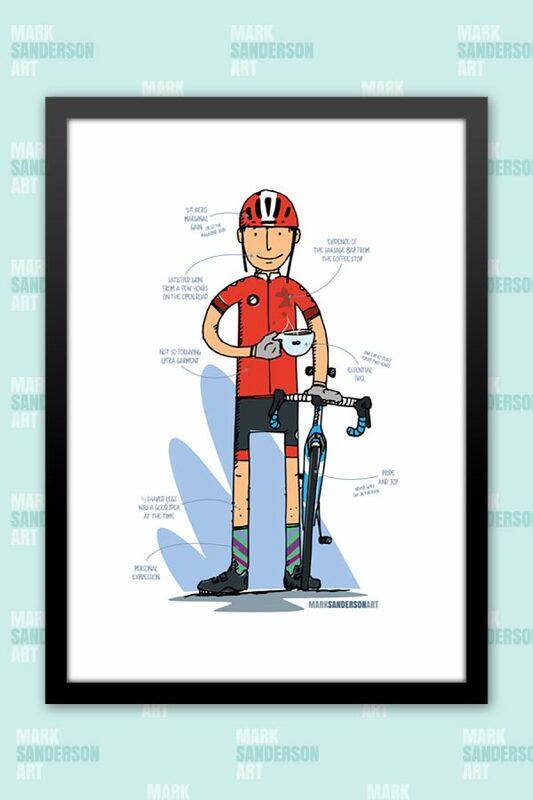 ‘Anatomy of a cyclist’ is my impression of (me) and what I love about my fellow club members… I show off my style with my socks, never pass up and opportunity for cake and coffee and am always looking for the next best thing to help improve my strava segments! 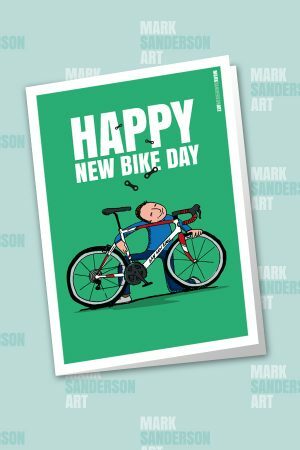 I love bikes, it's that simple. 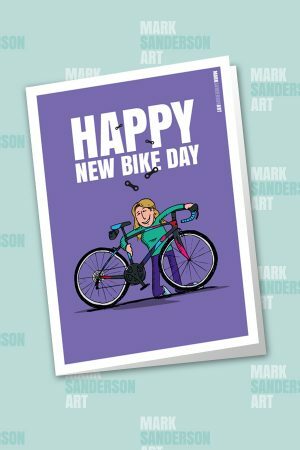 And I can remember pretty much all of the bikes I have owned (even the first one). 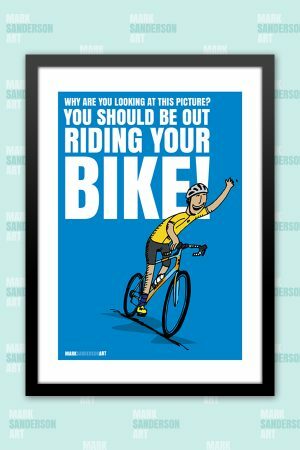 This is the perfect cycling gift for the bike lover in your life, it has everything from balance bikes to time trial machines, to rough and rugged full suspension mountain bikes. 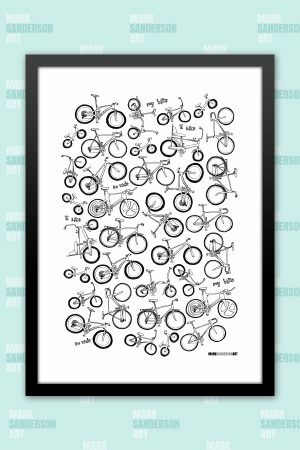 This cycling print is available in three sizes A4, A3, A2. 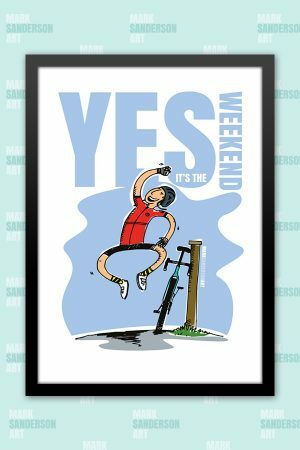 Glycee print on high quality paper, carefully packed and shipped to you.